Our spacious new facility, located at 4080 William Penn Highway, Palmer, PA, offers an intimate setting for your loved one’s funeral. Our funeral home is tastefully furnished for your comfort and convenience and includes a family coffee room and play area for young children. 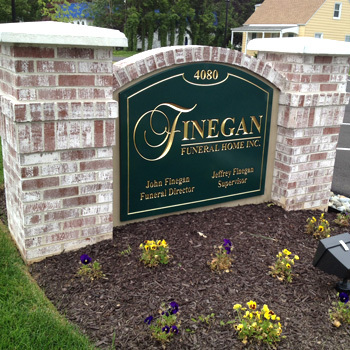 Finegan Funeral Home is conveniently located off Route 33 and has ample parking. Jeffrey E. Finegan, Sr. is the supervisor. John M. Finegan, Sr. and Jeffrey E. Finegan, Sr. and their staff are available to help you plan a personalized funeral, regardless of your religious tradition. We are here to answer your questions and to handle all necessary funeral arrangements. 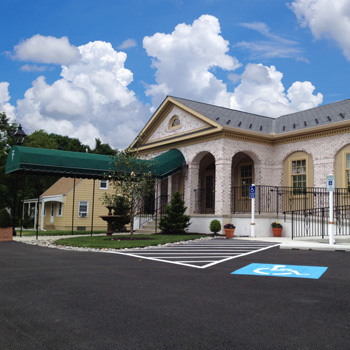 Our other funeral facilities are conveniently located throughout the Easton, PA-Phillipsburg, NJ area in Easton, PA; Phillipsburg, NJ; and Alpha, NJ. The same staff services all locations. We are available twenty-four hours a day and invite your inquiry at any time.